Shandong Bokai Silica Gel Co., Ltd. is a wholly owned subsidiary of Haoyu Materials Group. It is a member of China Inorganic Salts Industry Association. It is located in Rizhao City with picturesque spot and fast growing economic. It is in the coast of Yellow Sea, very close to Qingdao Port and Rizhao Port, with convenient transportation access. 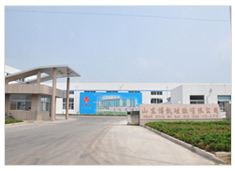 Our company established in 2008, a manufacturer specialized in the lump silica gel and pellet silica gel, with two industry-study-research laboratories and five modern production lines. Now the annual output of silica gel is 30,000 tons. Our products are exported to EU, USA, Southeast Asia more than 20 countries and regions. Our company obtained the right to operate import and export in 2008. We have received the ISO9001:2008 Quality Management System Assurance and the ISO14001:2004 Environmental Management System Assurance in January 2010.We also got the BRC accreditation. We established and improved the company's after-sales service network. Products sold throughout the world and they are greatly appreciated in the domestic and foreign markets. We adhere to the enterprise culture "human is the foundation of all, morality is the source of business" and the service principle "cherish customers equal cherish ourselves". We take industrial management, high-tech support, sustainable development road. We always aimed at the advanced markets to supply better products and services to customers. Warmly welcome friends from home and abroad for visiting, communication and cooperation!